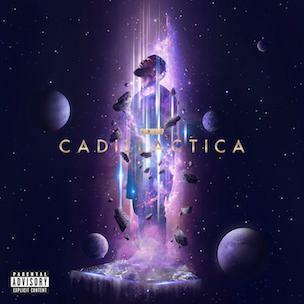 With his sophomore effort released last Monday (November 10), Big K.R.I.T.’s Cadillactica debuted as the #5 album in the country according to Billboard’s latest sales numbers. 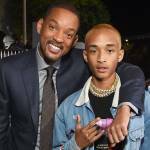 Lower down the list, T.I.’s Paperwork dropped a dozen spots from the previous week and landed at #33 in the process. Azealia Banks’ surprise release of Broke With Expensive Taste fell nearly seventy spots but managed to stay in the Top 100 at #98 in its second week of availability. Also on the list, Bobby Shmurda’s retail debut managed to sell a total of 5,091 albums for a spot at #77 in its first week on the shelves. Big K.R.I.T.’s sophomore album sold a total of 43,756 units in its first week, just short of 4,000 more than the first week sales numbers he put up with Live From The Underground. Units aside, for his second album in a row K.R.I.T. debuted at #5 on Billboard’s Top 200. After earning the #2 spot with its first week sales numbers at the end of last month, T.I.’s Paperwork fell another 13 spots in its fourth week on the charts. The 10,303 albums T.I. sold last week is a 35% drop from the previous week’s numbers. To date, T.I.’s ninth album has sold 132,906 units. Ten weeks after it was released, Lecrae’s Anomaly jumped from the 80th spot up to 64 thanks to a 12% sales increase. Selling less than seven hundred more copies than the week before, Lecrae sold a total of 5,934 last week and brought his total count for his seventh album up to 190,992. In the same period of time, Logic’s Under Pressure suffered a 3% sales drop but rose from #73 to #69 in the process.